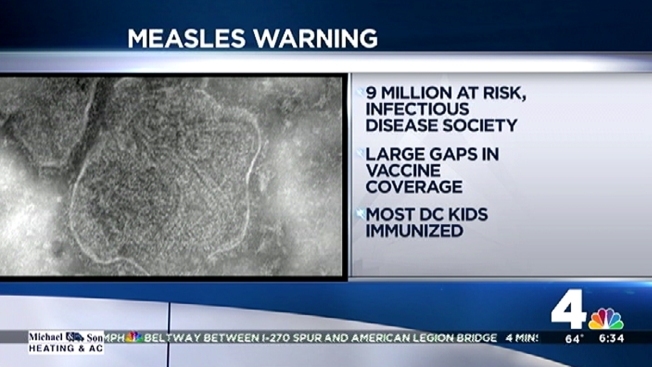 Health officials have confirmed a case of measles in Fairfax County, and the infected child may have exposed others to the measles virus. The child was treated at Inova Fairfax Medical Campus and is no longer contagious. 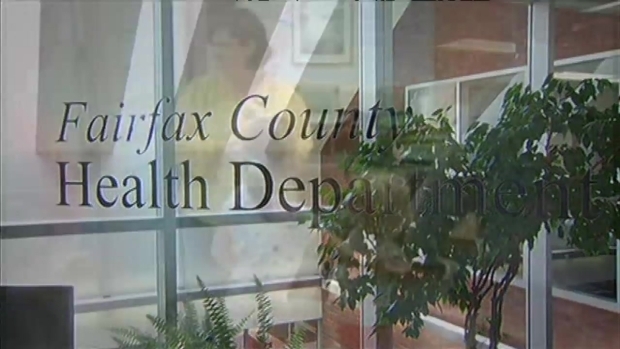 The Fairfax County Health Department says the child visited several locations in the county. Health officials say the child was vaccinated with one dose of the measles, mumps and rubella (MMR) vaccine, but it takes two doses of the MMR vaccine to provide full protection. There are no other documented cases of measles in the area. There’s a health alert in Northern Virginia. A measles case was confirmed in Fairfax County, and health officials say the child got the virus even after getting a vaccination. News4’s Mark Segraves reports on the case. Measles is spread through coughing, sneezing and contact with secretions from the nose, mouth and throat of an infected person. However, people who have been vaccinated are at very low risk of the disease. Symptoms of measles can include fever greater than 101 degrees, runny nose, watery red eyes and cough, followed by a blotchy rash that appears on the face and spreads to the rest of the body. Symptoms usually appear within 7 to 21 days after exposure. If you or a member of your family believe you have been exposed, are not vaccinated and have symptoms of the disease, contact your health care provider. Please call ahead before going to the doctor’s office or the emergency room and tell them that you may have been exposed to measles. JoAnn Blanks Child Development Center (CDC), 5901 Taylor Road, Bldg. 1207, Fort Belvoir, VA 22060 -- Wednesday, Sept. 30, 2015, 7 a.m.-8 p.m.
Pediatric Associates of Alexandria, Springfield HealthPlex, 6355 Walker Lane #401, Alexandria, VA 22310 -- Thursday, Oct. 1, 2015, 1 p.m.-5 p.m.
Thursday, Oct. 1, 2015 -- 1 p.m.-5 p.m.
Costco Wholesale Club, 7940 Richmond Highway, Alexandria, VA 22306 -- Thursday, Oct. 1, 2015, 2:30 p.m.-6 p.m.
Inova Fairfax Medical Campus, Pediatric Emergency Department, 3300 Gallows Road, Falls Church, VA 22042, Sunday, Oct. 4 , 2015 -- 10:30 a.m.-7:30 p.m.
Inova Fairfax Medical Campus, Emergency Department, 3300 Gallows Road, Falls Church, VA 22042, Sunday, Oct. 4 , 2015, 1 p.m.-3:30 p.m.
Inova Fairfax Medical Campus, Women and Children's Atrium (Lobby) & 5th Floor, 3300 Gallows Road, Falls Church, VA 22042 -- Sunday, Oct. 4 , 2015, 5 p.m.-7:30 p.m.